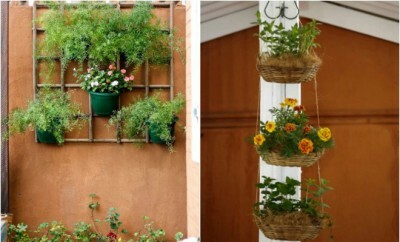 Surely, you have already heard about vertical gardens. 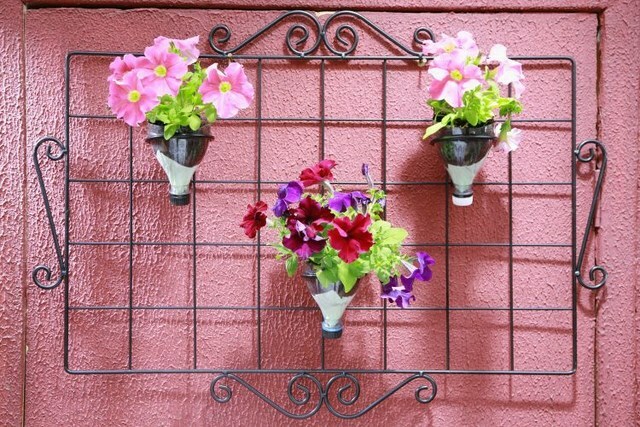 In contrast to the traditional, they take up very little space, but can accommodate a lot of flowers and greenery. 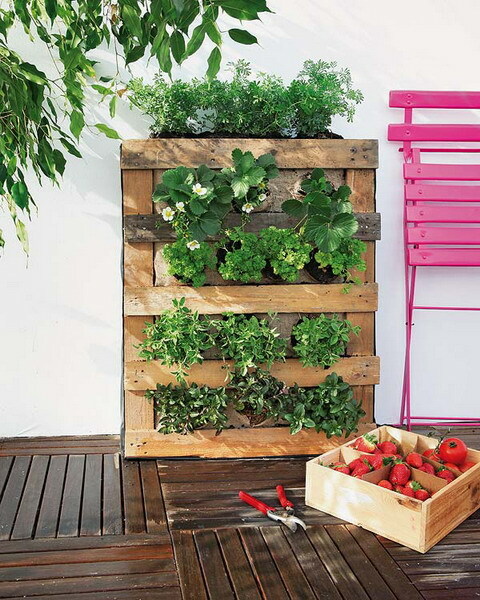 We will show you how easily and inexpensively to build a pallet vertical garden and a plastic wall garden for your balcony or terrace. 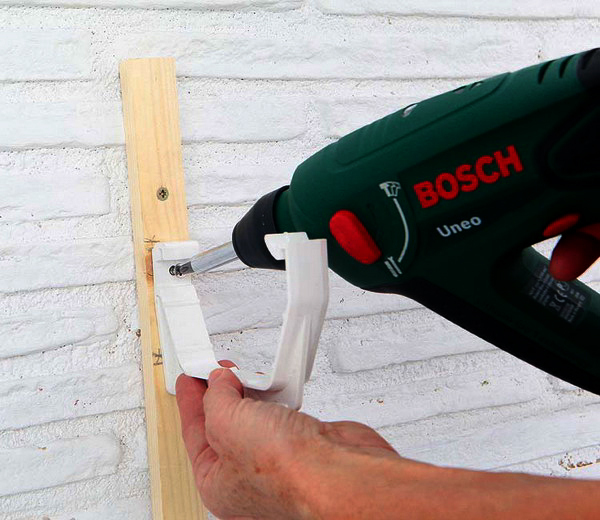 It will take a minimum of your precious time, the most simple materials and tools. 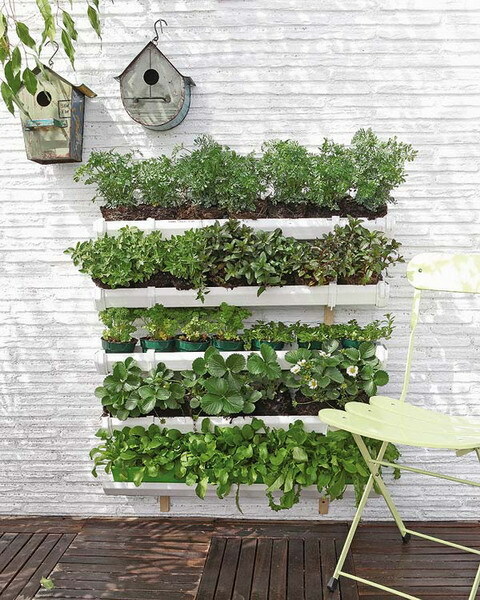 A lovely vertical garden for herbs, for strawberries or the twiners, with which you always wanted to decorate the wall on the balcony. 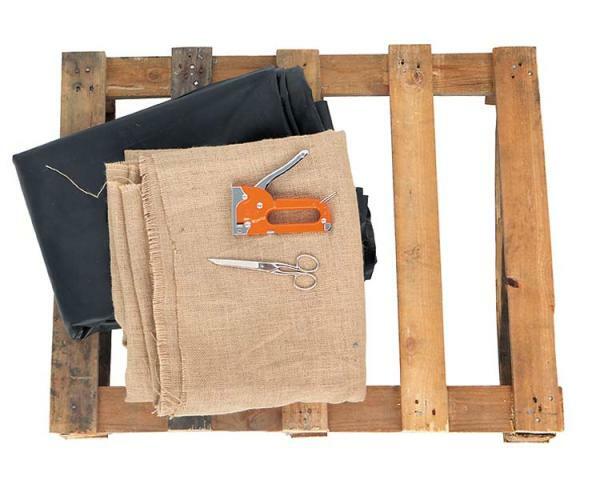 You will need: 1 wooden pallet ( which is used for transport of goods), a burlap, sturdy garden film, scissors, furniture stapler, universal soil, plant seeds or young seedlings. 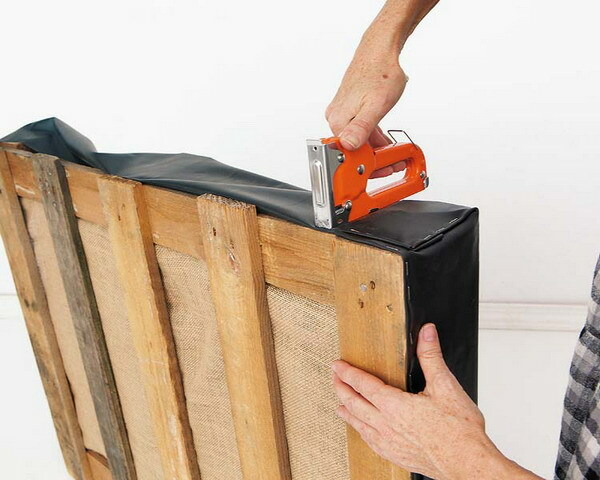 How to do it: Attach the burlap to the inside of the pallet. 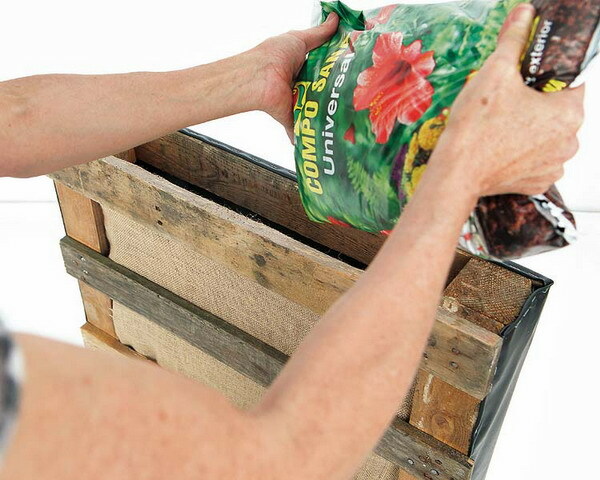 Wrap the back of the pallet with garden film and secure with a furniture stapler. Do this just on three sides (except the top end) by turning the corners. 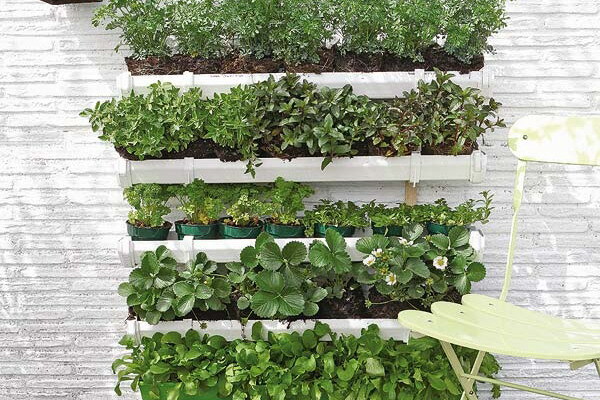 The pallet vertical garden is especially attractive with low herbs ( thyme, mint, lemon balm), twine annuals or perennials (Sweet peas, Cobaea, Morning glory), low-growing flowers (pansies), and even berries (strawberries). 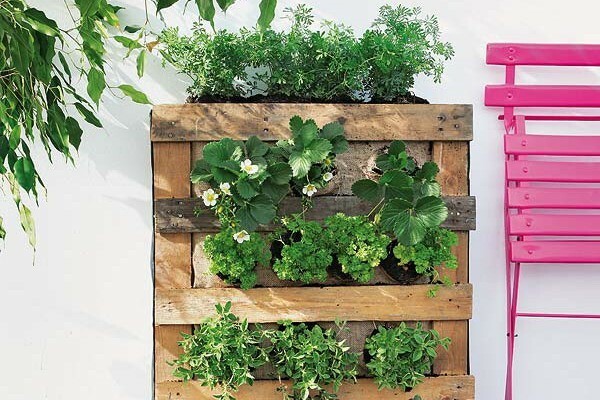 The special thing in this pallet vertical garden is the ability to move the pallet with the plants. 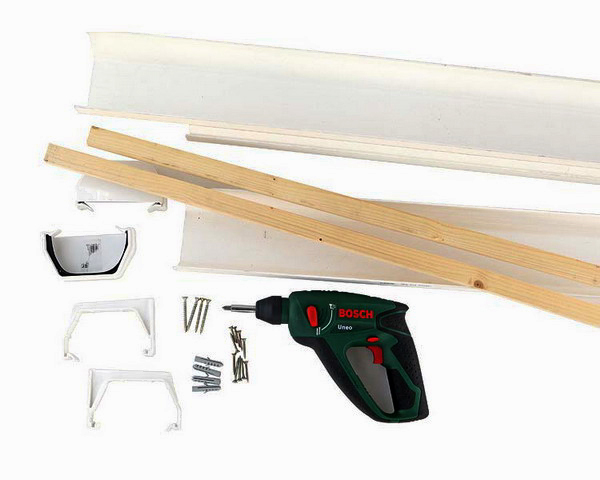 You will need: 4 plastic troughs + fixtures and end caps for them, 2 pieces of wood long about 2 m, dowels and screws, a ruler, a pencil, hand saw and a drill. 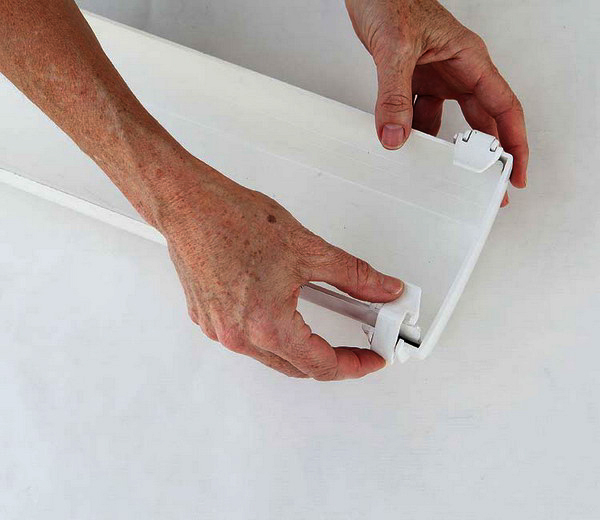 How to do it: if the plastic through is too long cut from them about 80 cm. At the bottom of each segment drill 3 holes for water drainage. 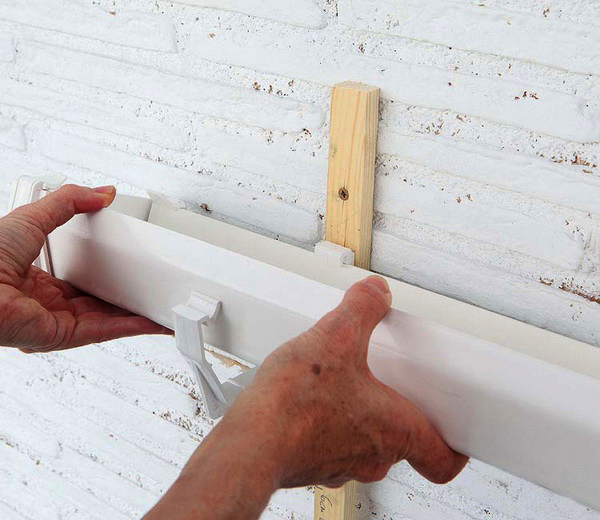 Secure the wood slats vertically on a wall at a distance of 50 cm from each other. Mark the position of each plastic through (at the same distance between them or with the plant height). 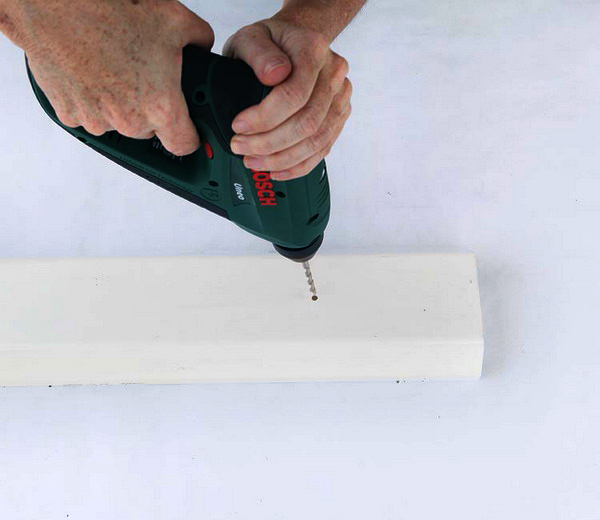 Attach the end caps on the marks, and then paste the containers. 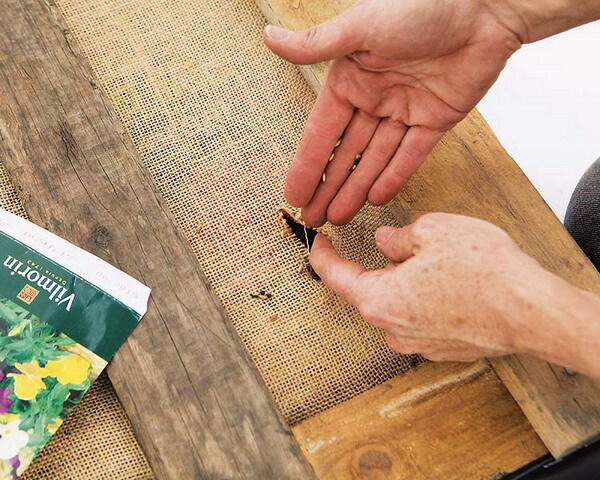 The plants can be placed in two ways: (1) first to fill the plastic troughs with soil and to plant the seedlings or (2) to place flower pots in them. If you do not want the floor of your terrace (balcony) gets wet with water after watering, use the last row for collecting the pouring water. And if the plant gets too much sun in the noon hours – set a shade from the top one.